Eye-catchingly handsome, this brightly plumed Summer Tanager with gem details and metallic gold embellishments is 15th in the Beauty of Birds series. 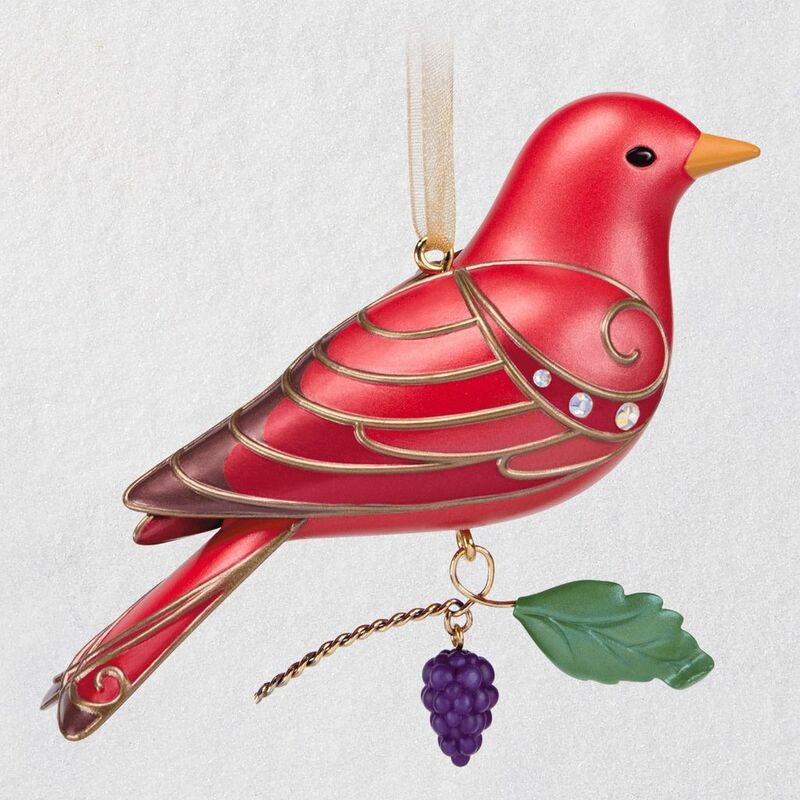 The red bird Christmas tree ornament sits atop a dangling branch with ripe berries and a dainty leaf, an homage to the fruits that summer yields. 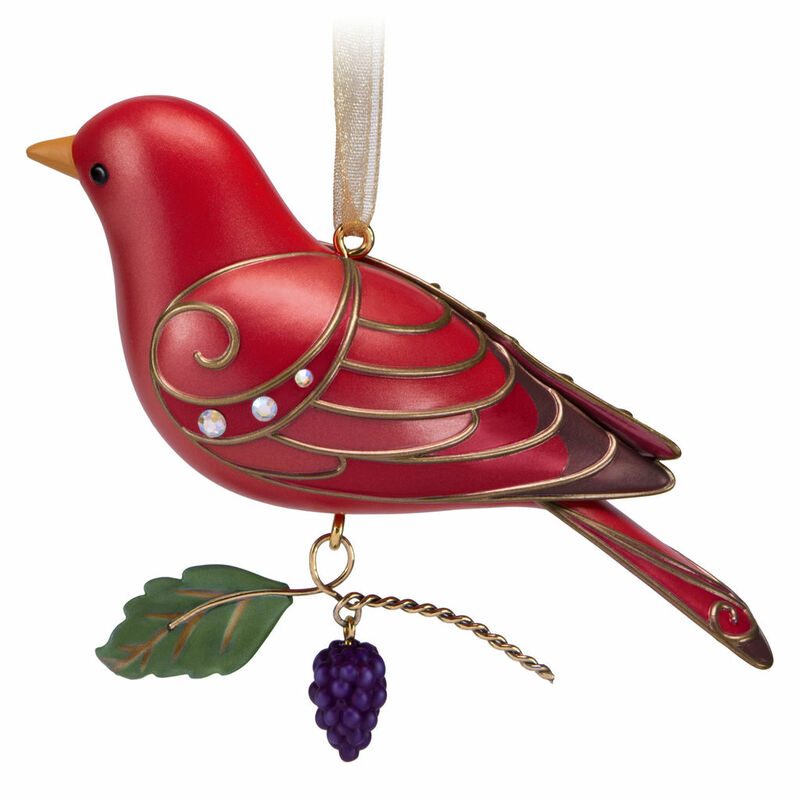 Christmas tree ornament is 15th in the Beauty of Birds collector's series. Plastic Christmas tree ornament is lead-free and measures 3.25" W x 2.94" H x 1.37" D.